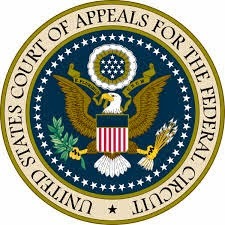 WASHINGTON – (PTSD News Service) – The United States Appeals Court for the District of Columbia held that certain provisions of the Affordable Care Act are “the most heinous laws ever passed by Congress and signed by a President.” The Appeals Court struck down certain provisions of the law that grant subsidies to those who need assistance paying for healthcare premiums. The Court also held that any law that obstructs the ability of private insurance companies to realize profits was clearly Unconstitutional. “Just how free can America be if we limit the freedom of a private company or corporation to maximize profits? These corporations have worked very hard to get into the position where they can demand your money or your life from potential clients who are needing basic health care.” Hellholder said that Obama’s unprecedented attack on freedom and capitalism was not only Unconstitutional but was unconscionable. HAMDEN, Connecticut – (PTSD News Service) – A new Quinnipiac University Poll says that more Americans think that Barack Obama is not only the worst US President since World War II, but that he is the worst person in history since Goliath tried to crush David. The results of the poll show that the five persons who Americans think are the worst persons throughout all of history are: Barack Obama 31%, Dracula 28%, Adolf Hitler 13%, Osama Bin Laden 12% and Miley Cyrus 11%. “Over the span of the entire six-thousand years of human history, Barack Obama finds himself along with Dracula at the bottom of the popularity barrel,” said Tom Malloy, assistant director of the Quinnipiac University Poll. Malloy said that Quinnipiac will be conducting two new polls, one to find out which President Americans believe is the most uppity in history and another poll to find out what they think is the most fitting punishment for Barack Obama. 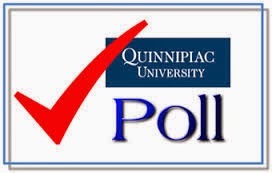 The New York Times announced that it will soon announce the results from their latest poll which was conducted to determine which President they believe had been targeted the most by all those Quinnipiac University Polls. OKLAHOMA CITY – (PTSD News Service) – After a favorable ruling by the Supreme Court which upheld the right of their business to deny women certain health care coverage that was otherwise guaranteed under the Affordable Care Act due to the religious objections, Hobby Lobby announced that it will be sending out pink slips to about 5,800 female employees, who the management says, that according to the Bible, should be at home, taking care of their children and obeying the wishes of their husbands. 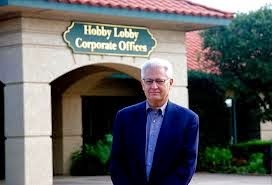 The list of women who will get pink slips this Friday, July 4th, includes about 73% of all female Hobby Lobby employees, but does not include single unmarried women, who are “not yet the property of their husbands,” Green said. “Our action creates an opening for thousands of jobs,” said Green, “that we will now offer to children, because we believe that the Bible encourages children to work, which invalidates any child labor laws,” Green said. He added that “anyone who complains that it would be too hard on youngsters to work 18 hour days, is not a Christian because all righteous people know that God does not restrict the number of hours a person can work, and says that if you spare the rod you spoil the child.